“And now, behold, this is the doctrine of Christ, and the only and true doctrine of the Father, and of the Son, and of the Holy Ghost, which is one God, without end. Amen” (2 Nephi 31:21). The Lord has declared that the Book of Mormon contains “the fulness of the gospel of Jesus Christ” (Doctrine and Covenants 20:8–9; cf. 42:12). It is important to note here that the Book of Mormon appears to use the words “gospel” and “doctrine” (of Christ) synonymously, as is seen in Sherem’s words to the prophet Jacob. “I have heard and also know that thou goest about much, preaching that which ye [Jacob] call the gospel, or the doctrine of Christ” (Jacob 7:6). In a decree from the beginning, the Father had promised salvation to all who would come to him through faith on his Son, repentance and baptism, receiving the remission of sins through the baptism of fire and of the Holy Ghost, and by enduring in faith, hope, and charity to the end of mortal life. 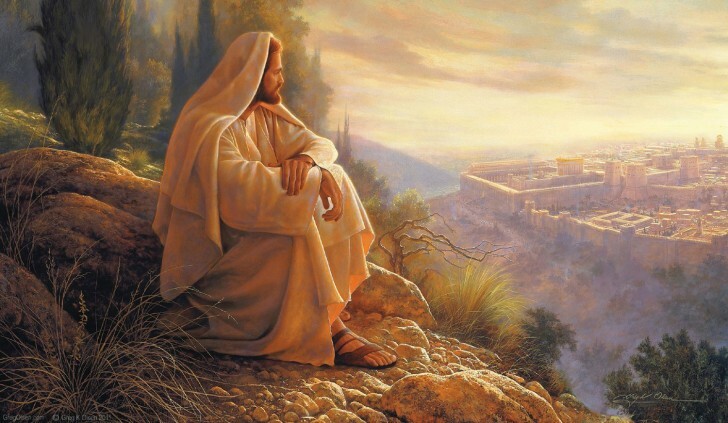 This central teaching gave coherence and foundation to all the teachings of the Book of Mormon prophets, focusing all religious hope and knowledge on the atonement of Christ, which makes the fulfillment of the Father’s promise [of eternal life] possible. President Ezra Taft Benson taught, “The Book of Mormon contains the fulness of the gospel of Jesus Christ (D&C 20:9). That does not mean it contains every teaching, every doctrine ever revealed. Rather, it means that in the Book of Mormon we will find the fulness of those doctrines required for our salvation.” The gospel of Christ, in its fullness, is found plainly in the pages of the Book of Mormon. It is the gospel of salvation that will ensure all those who “press forward with steadfastness in Christ” eternal life in God’s kingdom (2 Nephi 31:20). Andrew C. Skinner, “Jesus’s Gospel-Defining Discourse in 3 Nephi 27:13–21: Doctrinal Apex of His New World Visit,” in Third Nephi: An Incomparable Scripture, ed. Andrew C. Skinner and Gaye Strathearn (Provo, UT: Neal A. Maxwell Institute for Religious Scholarship, 2012), 281–308. Richard N. Holzapfel, “The Book of Mormon: An Ancient Book with a Modern Message,” devotional given at the 2008 Campus Education Week at Brigham Young University. Noel B. Reynolds, “The True Points of My Doctrine,” Journal of Book of Mormon Studies 5, no. 2 (1996): 49–54. One might alternatively understand the principle of enduring to the end as not an additional principle of the gospel per se but rather as subsumed in the first principle of faith in Jesus Christ, i.e. one endures in faith to the end until one has the promise of eternal life from God the Father. Additional synonyms for the doctrine of Christ include: Gospel of the Lord (1 Nephi 13:24), Gospel of the Lamb (1 Nephi 13:32), Gospel of the Messiah (1 Nephi 15:13), and Gospel of the Redeemer (1 Nephi 15:13).